An attorney who argued before the Supreme Court, a U.S. congressman from Massachusetts (1813–1817 and 1823–1827), senator (1827– 1841 and 1845– 1850), and secretary of state (1841–1843 and 1850–1852), Webster was celebrated as the greatest orator of his day. 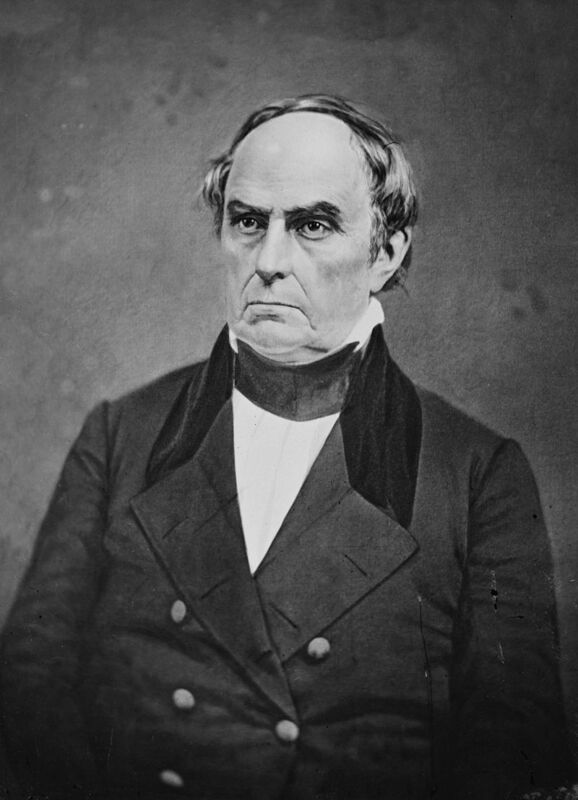 During January 19–27, 1830, he engaged Senator Robert Y. Hayne of South Carolina in a series of debates on the doctrine of states’ rights. Webster held that the individual states were sovereign only where their power was not qualified by the Constitution and further argued that the Constitution and the federal government were not sovereign over the states, but over the people of the United States. The Webster- Hayne debates established the opposing concepts of government that would lead to the outbreak of the Civil War.